Research shows that women wearing perfume are considered more sensual and attractive. And so well, beautiful women from centuries ago has learnt that perfume serves as an invisible accessory with the power to accentuate and create a subtle yet irresistible aura. Wearing a good perfume is also like an armour for some. 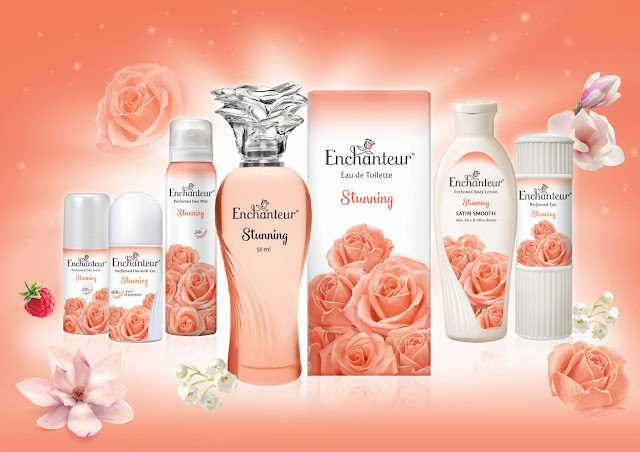 It gives us the confidence to do more since we know we smell good..
ENCHANTEUR, the leading mastige perfume with its popular French inspired fine fragrances range recently relaunched their Eau de Toilettes and personal care range and well introduced an entirely exciting fragrance – Stunning! Stunning is a scent that embodies the passion for perfumery by conjuring a distinctive blend of Turkish Rose, Magnolia, enhanced by the sweetness from Blackcurrant Bud and Raspberry and the sultry headiness of Sandalwood. An ENCHANTEUR Stunning wearer will be surprised by the scent-sational whiffs she catches on herself, which will make her feel extraordinary and exude a magnetic personality. 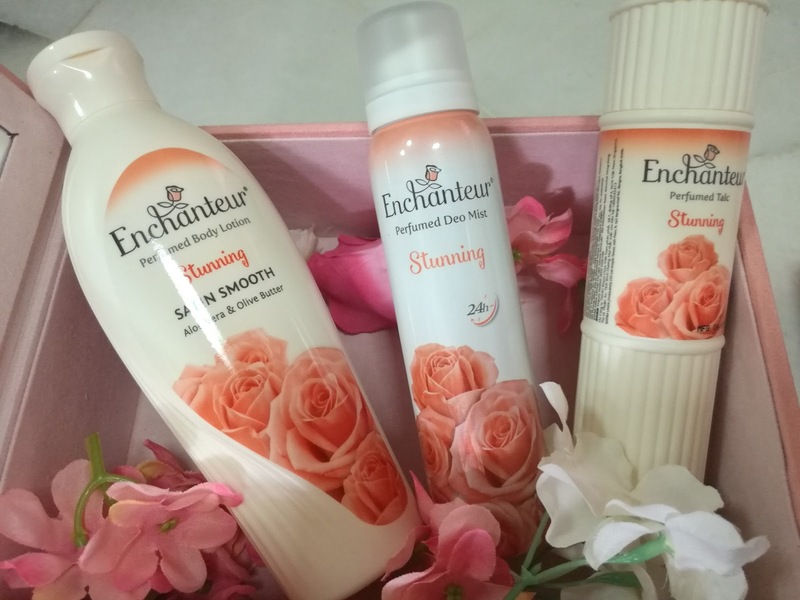 Besides Eau de Toilette, this Stunning variant also comes with complementary products in the ENCHANTEUR range of personal care including lotion, deodorant and talcum to leave your skin beautifully soft, satin smooth while you feel refreshed all day long. 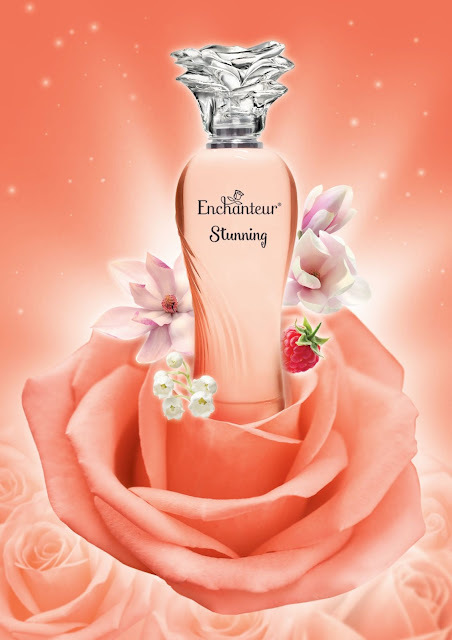 ENCHANTEUR EDT range has taken a further aesthetic transformation to the Eau de Toilette bottle. The bottle is shaped to illustrate the feminine silhouette of a curvaceous lady in a pleated, mermaid gown; the various tints on the bottles are tributes to the distinct floral fragrances. The bottle is then crowned with a blooming rose cap that symbolizes burgeoning romance and the essence of flowers gone into the perfume concoction. 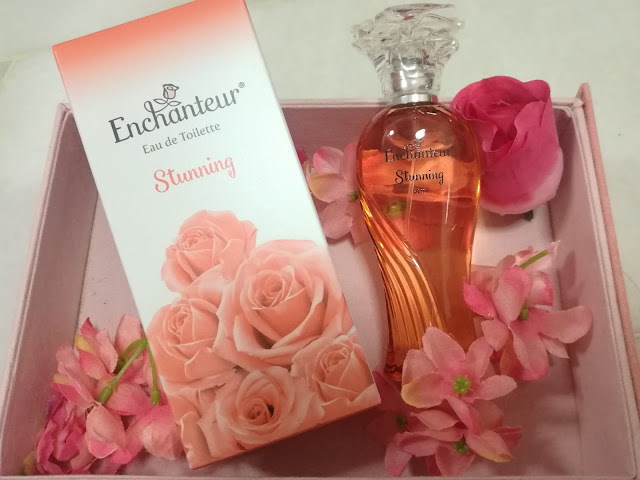 This novel packaging is lovely to hold, and definitely make your dresser more stunning too..
Best of all, the ENCHANTEUR Eau De Toilette fragrance retails at an irresistible amazing value of just RM28.20 (including 6% GST) per bottle of 50ml. The ENCHANTEUR Lotion is available in various pack sizes which are priced at RM5.40 to RM17.60. 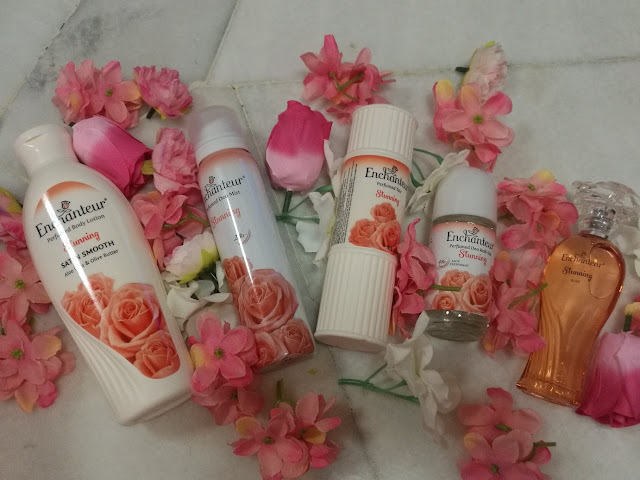 ENCHANTEUR deodorant range offers different formats – stick, roll-on and spray, priced between RM4.90 to RM8.40 while ENCHANTEUR Talcum is priced between RM4.40 to RM11.80. ENCHANTEUR range of perfumes and fragranced personal care products are available at all major supermarkets, hypermarkets and pharmacies. 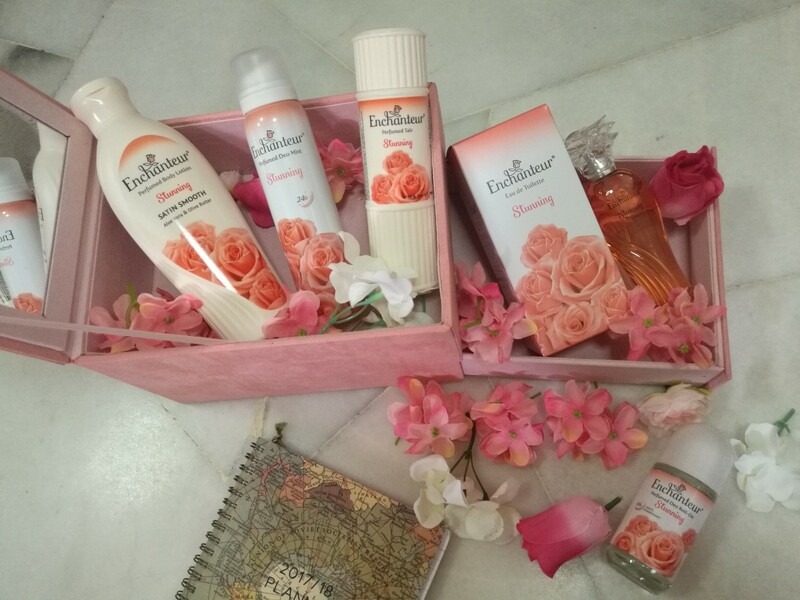 For more information about ENCHANTEUR, please log on to www.enchanteur.com.my or check out ENCHANTEUR’s Facebook page at www.facebook.com/enchanteurmy . Awww. Seems like a promising brand with the lovely packaging. In affordable price too. Wahhh wangi tak? Ika masa sekolah selalu guna.